The Catoctin Zoo "Continental Critters" program scheduled for March 3 is postponed due to the impending snowstorm. Traveling with the animals in this weather is very dangerous. We have rescheduled the program for May 5 at 3:00. We apologize for any inconvenience! The Center will be open today for visitors to view the Elementary Art Show from 2:00 - 4:00. Sandy Cheeks, our face painter, is also going to reschedule for May 5. On behalf of the Board of Directors of the Tuscarora Wildlife Education Project, I would like to express our sincere gratitude and appreciation for a recent donation made to TWEP by the Board of Directors of the Lemasters Community Center. This donation of $50,000 will benefit all that visit the Charles Brightbill Environmental Center. We are very fortunate to have such a caring group of community members who had the task of dispersing funds to benefit the community in several ways. We are honored to be among the recipients. The Board of Directors would like to thank Rutters for their recent donation of $12,000 through the EITC program. Monies donated to the Center through this program are used for displays, instructional materials, and programs. ​Chris Reed, Rutters' General Council, visited the Center on January 24. TWEP will be hosting a Wild about Animal Sign and Tracking workshop for educators on August 1 from 9:00 - 2:30. The workshop will be run by the PA Game Commission. ​Bring a packed lunch and dress to go outdoors. ​Registration form can be downloaded below. 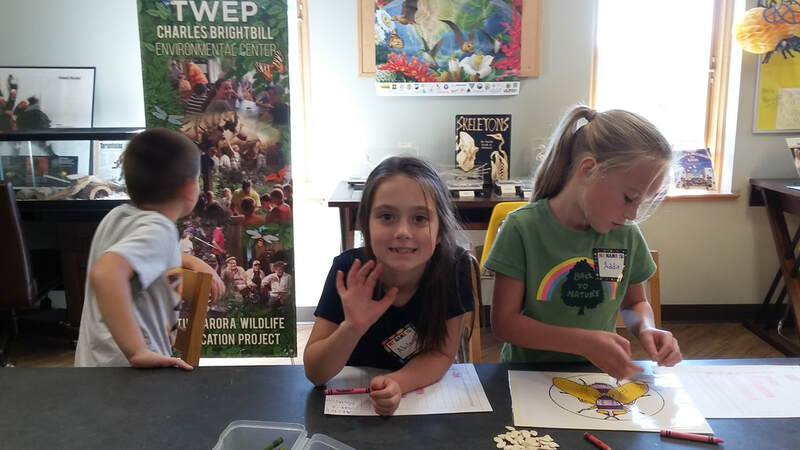 The Charles Brightbill Environmental Center, home of TWEP, is managed by the Director under the guidance of the TWEP Board of Directors. The Director creates educational programs and shares resources with families, schools, and community groups. TWEP hosts monthly programs open to the public. A non-profit 501(c)(3) organization, TWEP is funded through private donations, fundraising events, grants, and memberships. Our goal is to connect people and nature through education. We offer something for everyone! TWEP recently received a $2000.00 donation from Waste Management. Waste Management has a long history of donating to education and is dedicated to helping children in the local communities. This year the company has a goal to educate over 200,000 youth to be environmental stewards. Since the EITC program began in 2002 Waste Management has donated over $15 million toward scholarships and to qualifying organizations. It is a win-win, benefiting students and families through scholarships, the company benefits by receiving a corporate tax credit and the community benefits through the support as well. The EITC program is a perfect example of public policy and private sector resources aligning to improve lives. TWEP was also very honored to receive $2000.00 from Orrstown Bank. Representatives from Orrstown Bank visited the Center and got a first-hand look at all the opportunities visitors to the Center enjoy. BB&T Bank made a $1000.00 donation through EITC to the Center, as well. The EITC funds will allow the TWEP board to implement new educational displays, as well as interactive stations.